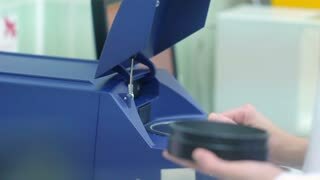 Scientists at the CDC Center For Disease Control use laboratory equipment and an artificial smoking machine to collect and analyze the particulate matter and chemicals found in tobacco products. 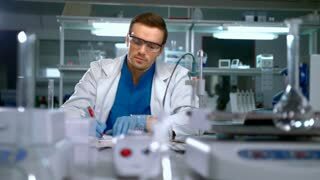 Doctor using micropipette in laboratory. 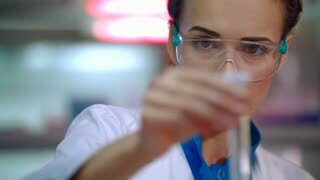 Scientist working in lab. 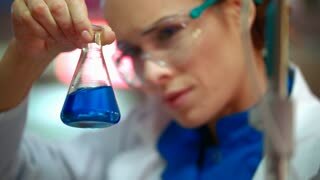 Clinician doing chemical research. 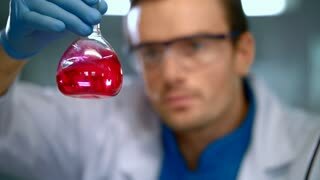 Close up of chemist analyzing liquid sample. 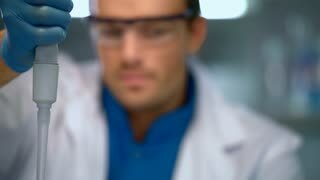 Lab man using modern laboratory equipment.